Includes patented lid with matching slide lock. Double wall insulated making it perfect for both hot and cold liquids. 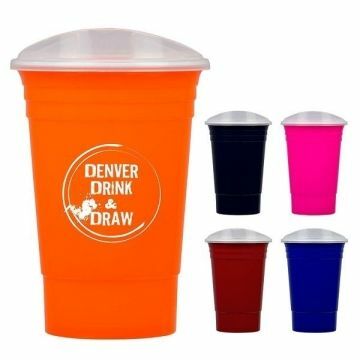 Great for tailgating, parties and company picnics. the produces I had made through AnyPromo turned out amazing! Definitely would, have, and will continue to recommend to friends and family that need things created. As always, Veronica was fabulous. Everyone here loves it. It looks great. Even with the larger logo. the Quality and opportunity to thank those who will be receiving this gift in a very special way because of the practicality of the gift! We'll be ordering these again. The imprint looks so good!